12 Six days before Passover Jesus went back to Bethany, where he had raised Lazarus from death. 2 A meal had been prepared for Jesus. Martha was doing the serving, and Lazarus himself was there. 3 Mary took a very expensive bottle of perfume and poured it on Jesus’ feet. She wiped them with her hair, and the sweet smell of the perfume filled the house. 4 A disciple named Judas Iscariot was there. 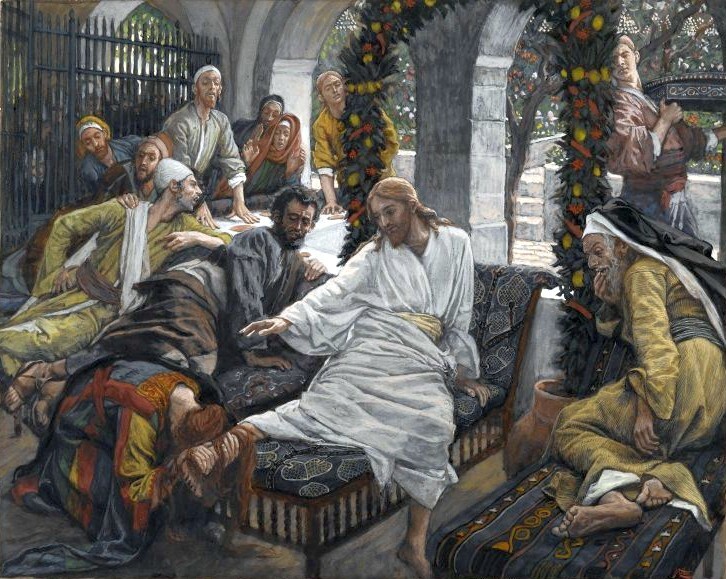 He was the one who was going to betray Jesus, and he asked, 5 “Why wasn’t this perfume sold for three hundred silver coins and the money given to the poor?” 6 Judas did not really care about the poor. He asked this because he carried the moneybag and sometimes would steal from it. 9 A lot of people came when they heard that Jesus was there. They also wanted to see Lazarus, because Jesus had raised him from death. 10 So the chief priests made plans to kill Lazarus. 11 He was the reason that many of the Jewish leaders were turning from them and putting their faith in Jesus.